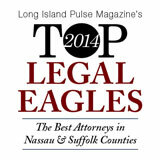 Long Island Bankruptcy Attorney | Robert H. Solomon, P.C. We Are The Bankruptcy Experts. Get A Fresh Start Today! If you are facing financial challenges that seem overwhelming, it is important to understand that you are not alone. We work with more than a thousand clients every year just in the Queens & Long Island area who are facing crushing debt, foreclosure and a financial situation that seems completely unmanageable. In a free consultation, Mr. Solomon will review your situation, answer your questions and recommend a strategy for you. This may involve a Chapter 7 bankruptcy that eliminates credit card debt, medical bills and other unsecured debt. Or you may qualify for a Chapter 13 bankruptcy that reduces or eliminates your debts by creating a debt repayment plan. Under certain circumstances we can even get rid of your second mortgage. YOU DESERVE A DEBT FREE FRESH START. We have had over 40 years of experience helping thousands of individuals to explore their options with their creditors; either through negotiation, modification, workout or bankruptcy. We have the experience to ask the right questions, so that we can guide you through these options and answer all of your questions. This category of bankruptcy often involves higher costs for the petitioner, however, so a consultation may be critical for making a careful evaluation of Chapter 11 is suitable for your business prior to filing an application.